1GB DDR2 up to 2GB max. 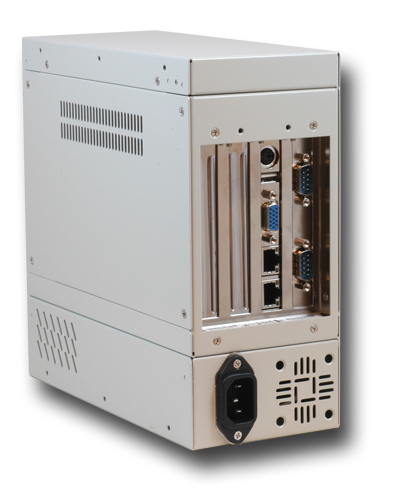 Classic, modular and expandable system, designed for 24/7 operation in harsh environments. The connectivity includes 2x GbE LAN ports, 2x COM ports, and 1x CF socket. 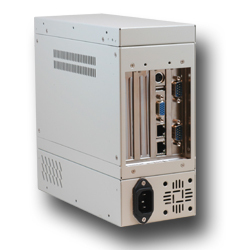 Fast serial interfaces like USB 2.0 and PCI slots facilitate the flexible expansion of system's capabilities. 90-260V AC input power supply, wide operating temperature range and ruggedized compact steel housing recommend it for deploying in harsh industrial environments. 1GB DDR2 , 1 SoDIMM 2GB max.